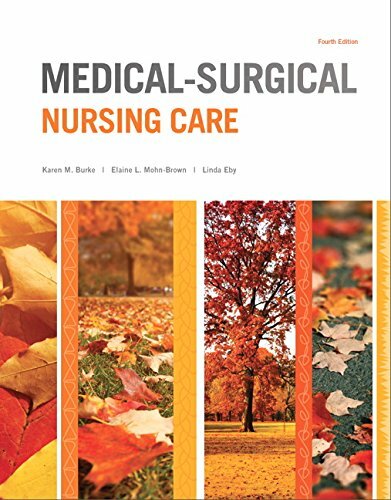 Medical-Surgical Nursing Care, Fourth Edition gives students an in-depth understanding of the common diseases and disorders that affect adult patients.It provides a strong foundation for caring by emphasizing pathophysiology, nursing care, and patient teaching. The material in Nursing Care is presented in an easily-accessible format with streamlined content and a clear writing style that makes it easy for students to absorb information. Study aids throughout the text also help students focus less on memorization and more on practice and the integration of new material into their critical thought-processes. The Fourth Edition includes new content and features that will help students grow and develop as practical/vocational nurses.